I cant describe how perfect this pendant truly is! 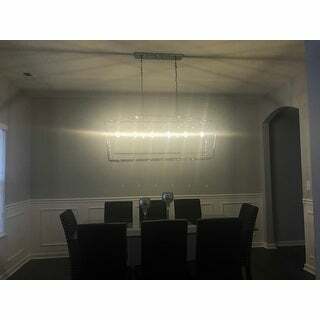 It is definitely a statement peice and is perfect for a dining room! I love it so much and im constantly getting compliments on it. 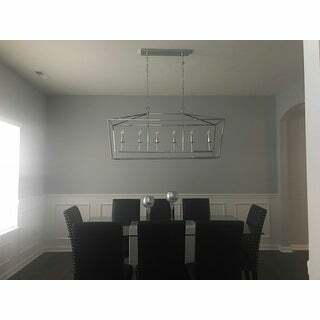 Take your dining ensemble from simple to stylish with this must-have chandelier pendant, inspired by vintage streetlamps. 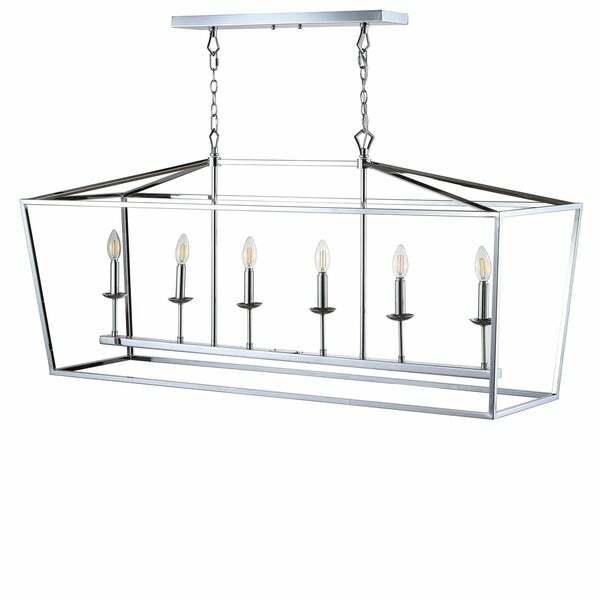 It showcases an open, geometric frame that is supported by two chains and features six candle-style bulbs. Try hanging it over your dining room table, or suspend it above the kitchen island. Dimensions 15.0 In. X 49.0 In. X 23.0 In. "What are the canopy dimensions?" The canopy measures 21.625 inches x 4.5 inches x 1 inch. "Can I use a dimmer on this light fixture?" Yes if you have a dimmer on the wall it should dim. Please note that you might need to replace the light bulbs they it comes with to dimmable ones. "Can you hang it with a Slanted ceiling ?" We would recommend an electrician install on a slanted ceiling .